Frozen at Sea Products | Brim hf. 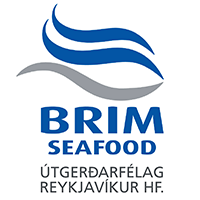 Brim Seafood specializes in state of the art equipment and technology for deep freezing fish on board our trawlers for FROZEN AT SEA production in order to provide the best value for our customers. The fish is caught from the chilly arctic waters, processed and immediately deep frozen at a temperature of -18°C within 4.5 hours after getting reeled in. This ‘locks in’ the quality throughout the value chain until it reaches our customers around the world. For more products and information please contact our sales.